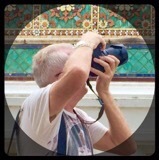 Andrew J Wood, travel writer and long time resident of Thailand, shares his latest travel secrets of his home town. BANGKOK: Every city has it’s icons; Australia has the Sydney Opera House, New York has Times Square, Paris has the Eiffel Tower and for Bangkok it’s Wat Arun. 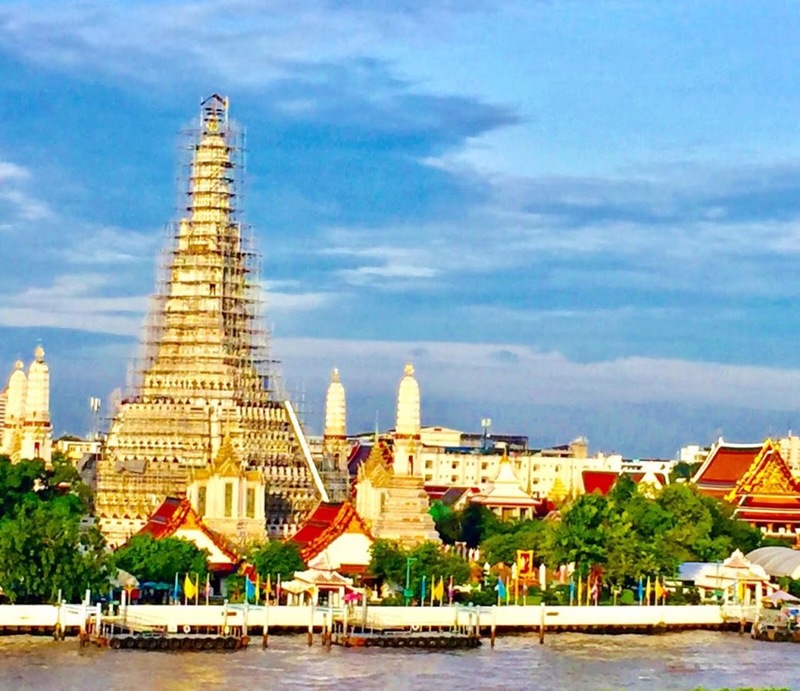 Often referred to as the Temple Of Dawn (a great name) Wat Arun is situated on the west bank of the Chao Phraya River, on Thonburi side. My visit over 2 days was to celebrate a birthday and for me to try to get a sense of the river community and local life here. Living in a high rise building it was good to get down to street level. 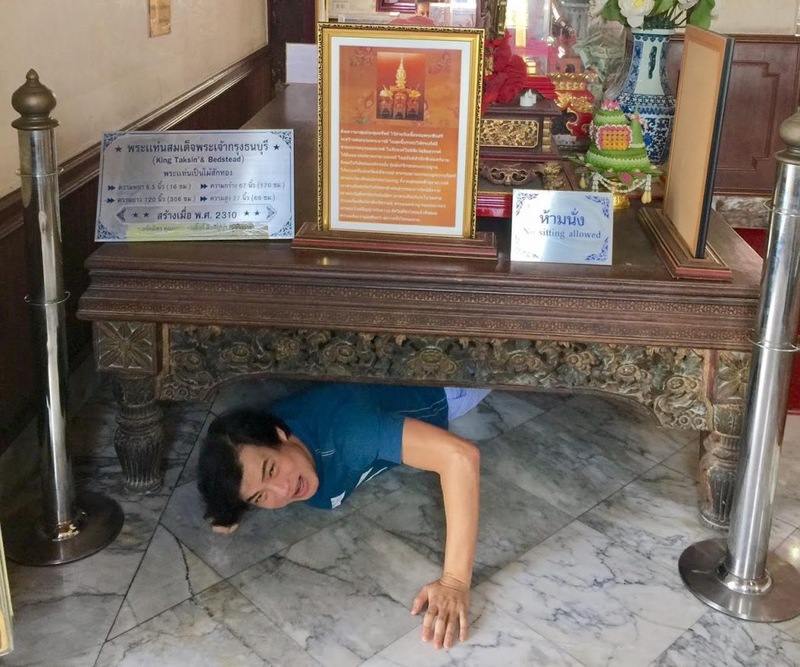 And after 25 years living in Thailand I really thought it was time I visited Wat Arun again and have my first traditional Thai massage at the famed Wat Pho. To get to Wat Arun we crossed the river by small shuttle boat at Tha Thien pier (no.8). The crossing takes minutes and costs only 3 baht. 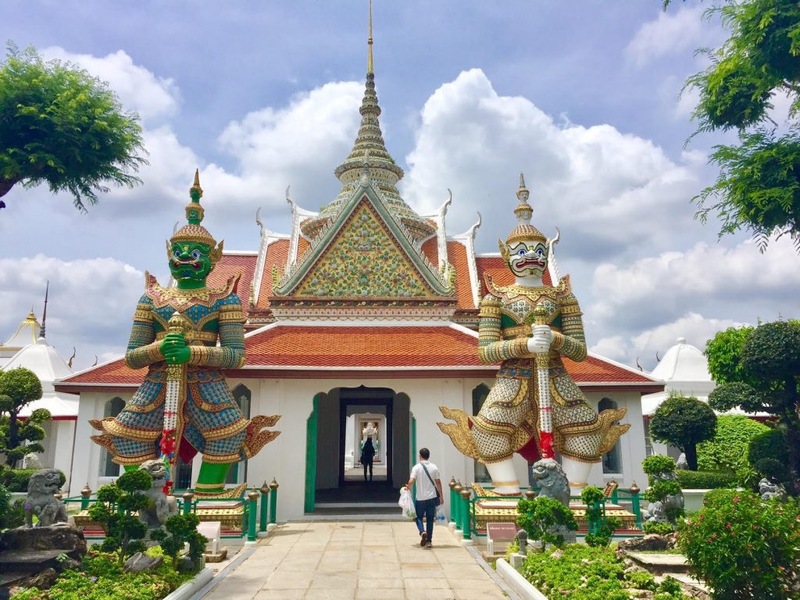 It is one of the most stunning temples in Bangkok, not only because of its riverside location, but also because of the design. The four outer prangs (spires) are designed to focus the mind on the centre and buddhists believe the structure reinforces its symbolism as a representation of Khao Phra Su Main (a heavenly mountain, the symbolic centre of the universe). At night the temple is colourfully lit adding to the magic and mystery. Wat Arun is decorated, surprisingly, with broken pieces of chinaware, covering the entire structure in a colourful mosaic. It’s said the temple derives its name from the Hindu god Aruna (the rising sun) and in the first light of the morning, the temple complex shines and sparkles like a jewel along the river front. Wat Arun stands majestically over the water, a significant structure amongst its low rise neighbours. A temple has existed here since the 17th century. In the grounds there is a small temple dedicated to King Taksin the Great of Thonburi. Be sure to crawl under the King’s wooded bed. If you do it is said to remove all the ‘dark shadows’ in your life and bring you luck. 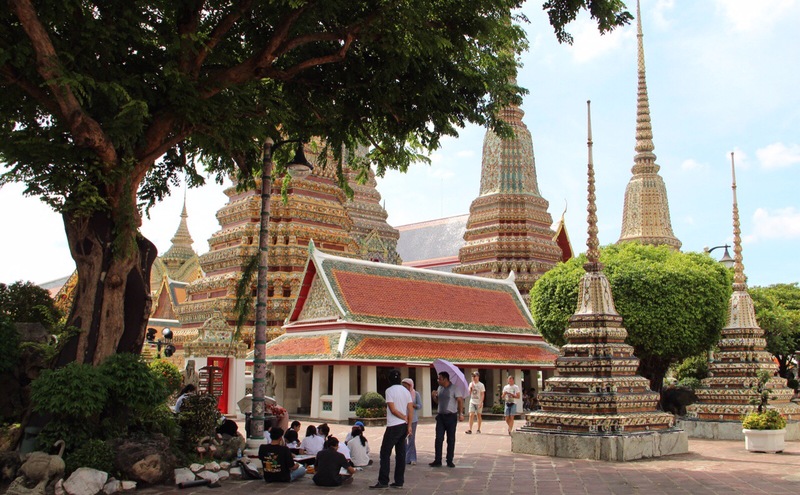 What Arun is located directly opposite Wat Pho in Bangkok’s historic district. The ancient centre of Bangkok is called Rattanakosin Island. An ‘island’ so called as it is surrounded by water, it’s borders made up of the Chao Phraya River, and canals. The ‘island’ has many bridges and the historic heartland is also home to Thailand’s most visited tourist site – the Grand Palace. Like many cities the river is an integral part of Bangkok. It is used by around 55,000 people everyday to travel to work. And it’s not just commuters. There are young kids swimming, fishermen fishing and slow barges shipping. It’s an eclectic mix of new and old worlds, wooden huts along-side towering glass and steel skyscrapers. Looking at the architecture adjacent to the river, there are examples of religious traditionalism such as temples co-existing with colonial era and modern structures; hotels, restaurants and even 7-Elevens. And everywhere you turn – food! “Have you eaten yet?” is one of the most common ways Thai’s greet each other. The street aromas are evocative and pungent. As we walked along crowded pavements you can’t help but notice the shops that spill out onto the street vying for space and your attention. You pass through squalor and decay but also glittering beauty mingled with a grey ugliness. 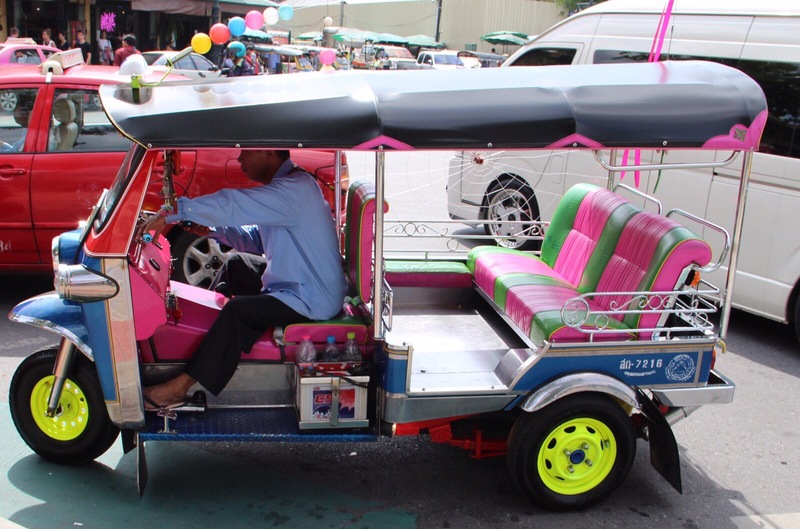 Colourful tuk-tuks are everywhere, the 3-wheeled taxis are a sure sign you’re in Thailand. The Rattanakosin area is a perfect tourist hangout to explore and discover. 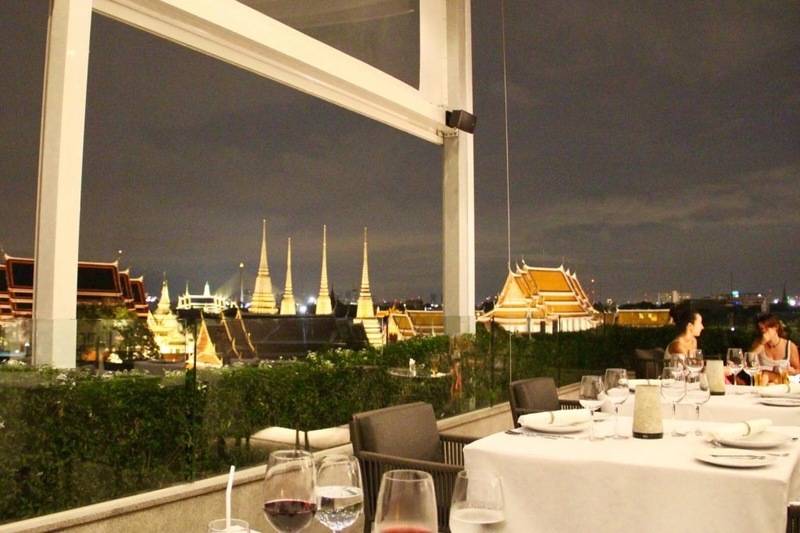 Bangkok’s River of Kings also has as a new gem – the RIVA ARUN. We discovered this lovely boutique property, located opposite the famous landmark Wat Arun. Recently opened, it is a stunning 25 room hotel with jaw dropping views. We stayed two days and were happy to use it as our base. I have never experienced views like it. I was in awe. We were metres away from the river (possibly the closest of any luxury hotel in Bangkok). Looking out from our huge bedroom balcony on the 4th floor was like living in a 3D world, floor to ceiling river views. Extraordinary. It was late September, a gorgeous sunny blue-sky day with white billowing clouds. The temple roof tops sparkling in the bright sunshine. The hotel’s Above Riva restaurant is the hotel’s crowning glory, literally, as it is on the roof top of this 5-storey hotel. The restaurant and bar affords magnificent views and delicious food. It was a great retreat after a long day. We spent lazy breakfasts and dinners here just drinking in the views… and a few cocktails! At night the stunning views sparkle. 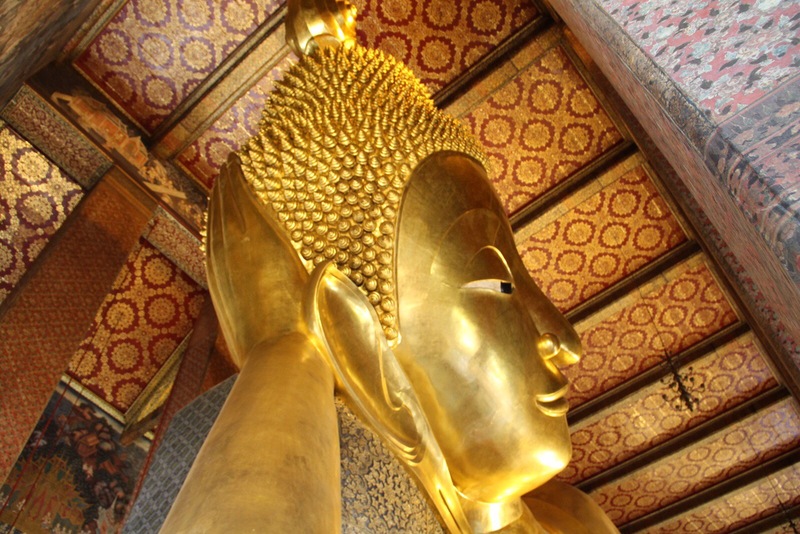 It was time to visit Wat Pho, the Temple of the Reclining Buddha, just steps away from the hotel. 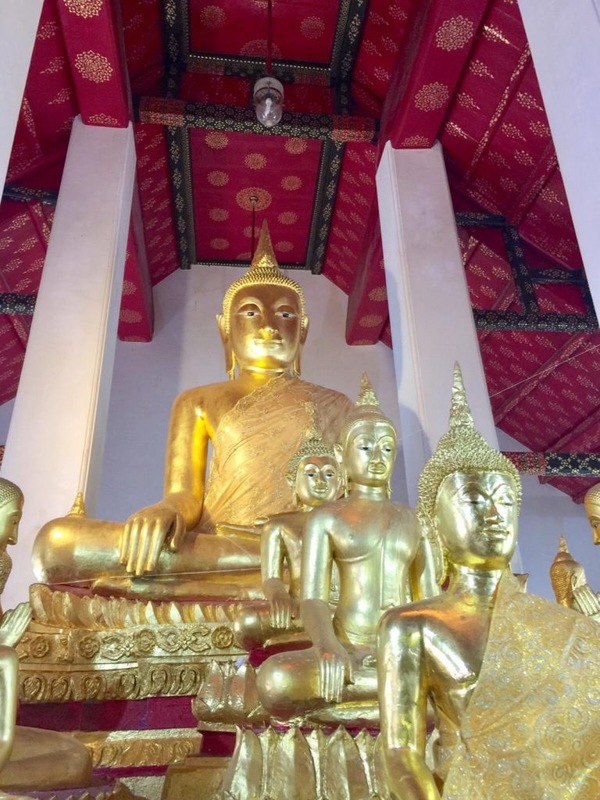 Wat Pho is one of only a few temples to be awarded the highest grade of royal temples and the complex houses the largest collection of Buddha images in Thailand. For any first-time visitor it’s simply a must on your to-do list whilst in Bangkok. It’s one of the largest temple complexes and famed for its giant reclining Buddha that measures 46 metres long and is covered in gold leaf. 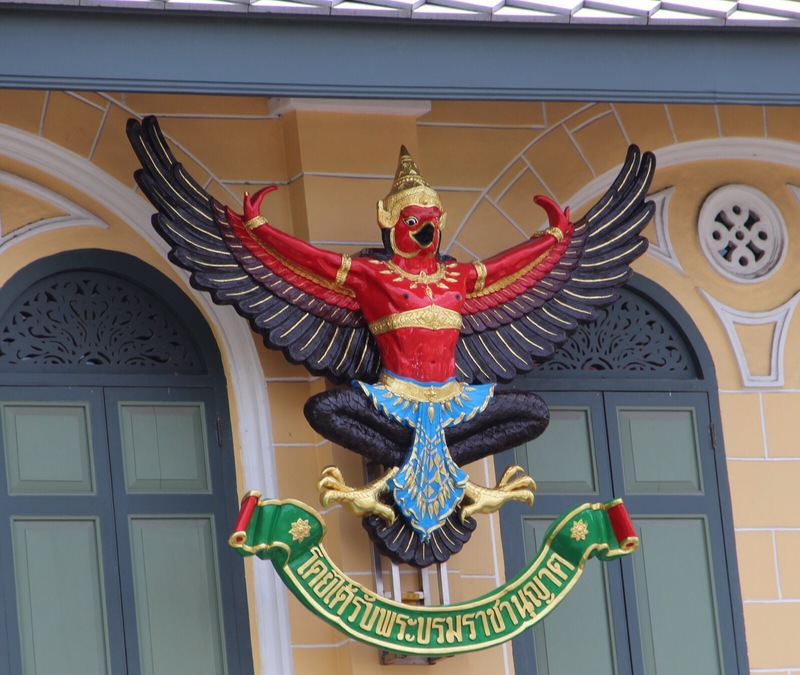 The temple was also the earliest centre for public education in Thailand, and houses a school of Thai medicine. It is known as the birthplace of traditional Thai massage which is still taught and practiced at the temple. A great place to have a traditional massage. Wat Pho is also often considered the leading school of massage in Thailand, so you really are in good hands here. We went in the afternoon and booked a one hour traditional massage which cost Bt 420 ($12) or 30 mins Bt 260 ($7.50). The massage centre is open from 08:00-19:00. There is a small changing room where you change into ‘pyjama’ bottoms (you keep your own top on) and in a large dormitory like room you lie-down on wooded beds topped with cushioned mattresses. It was wonderfully relaxing and I fell asleep. Entrance to the temple costs 100 baht. Your Thai friends can visit for free. So take them along too. 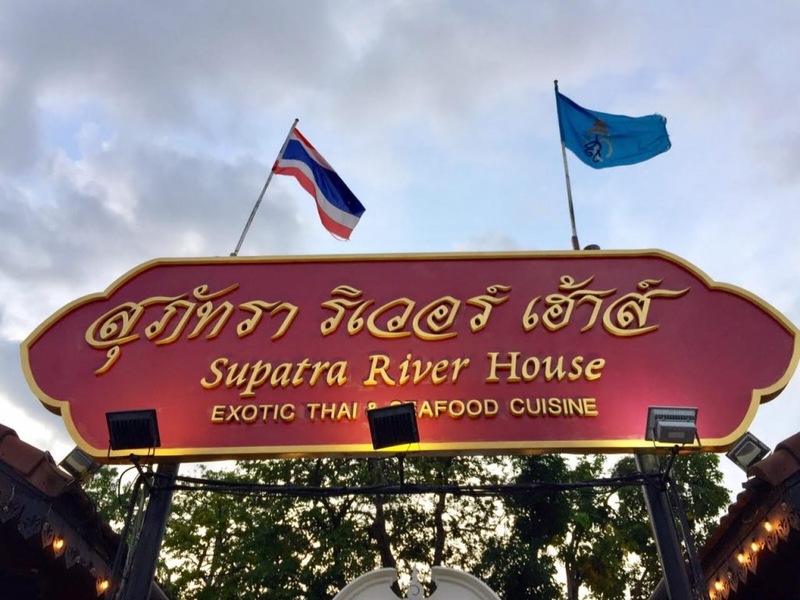 For our last evening we again took a ferry to cross the river to dine at the sumptuous Supatra River House a Thai restaurant par excellence. 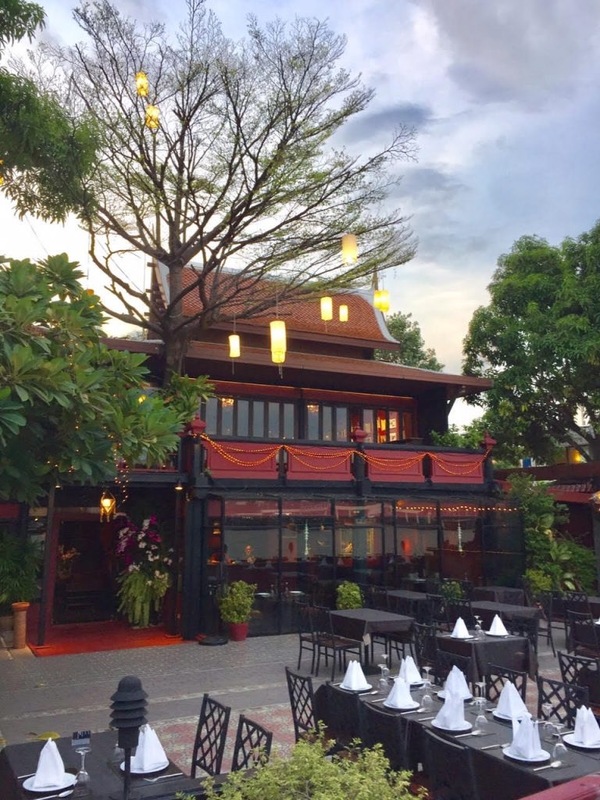 Affordable authentic Thai cuisine in a wonderful riverside location, across from the Grand Palace. Very Thai and very special. 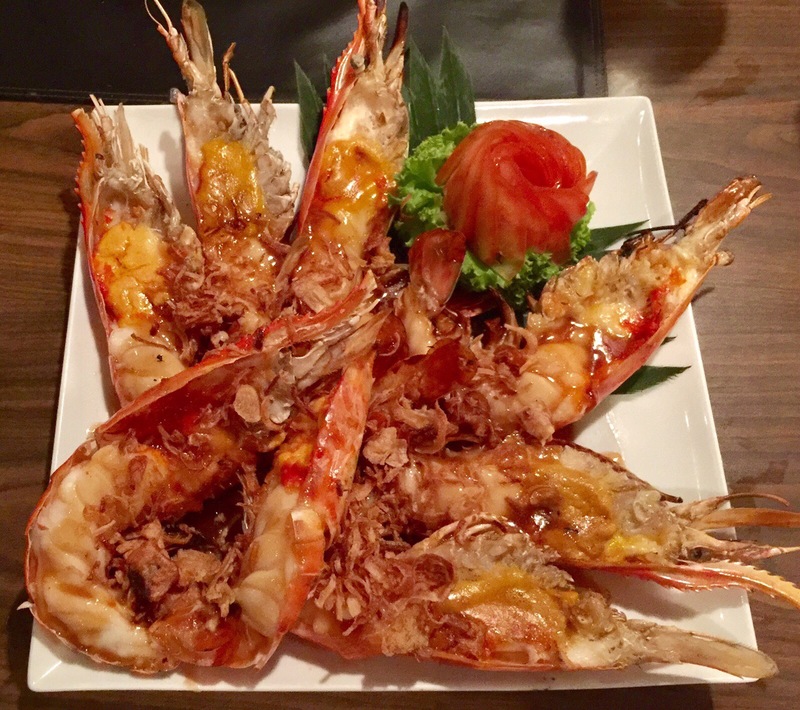 You must try the grilled King River Prawns with Tamarind sauce, a speciality and utterly delicious! Apart from being a famous house the views are great and the whole place is filled with amazing orchid displays. It’s more than just a restaurant, it’s a great events venue for up to 200 people. Truly special. With the recent passing of Thailand’s Revered King Bhumiphol Adulyadej the country is in mourning. The Grand Palace is currently at the heart of people’s focus with daily ceremonies for the Royal Family and all citizen’s to pay their last respects. The Grand Palace and the Temple of the Emerald Buddha are closed therefore until October 20, 2016. The country’s official period of mourning will last for sometime, however all tourist destinations across Thailand are still open. A professional hotelier, Skalleague, travel writer and director of WDA and Thailand by Design Co. Ltd (tours/travel/MICE) lives in Bkk. Truly iconic. If you are a first time visitor or you have friends and family visiting you it’s the perfect spot. 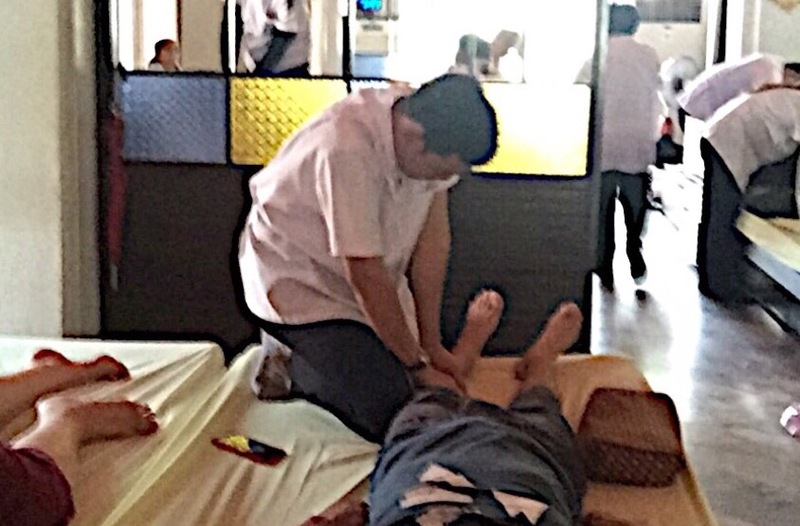 Try a traditional Thai massage too at nearby Wat Pho -it’s Thailand’s best!